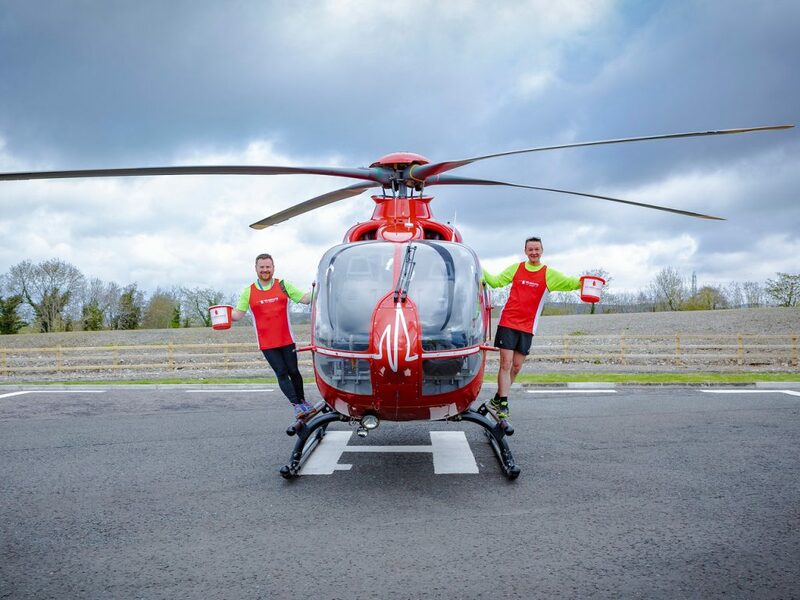 An energetic team of 20 runners are preparing to undertake the upcoming Lisburn 10k Road Race to help raise awareness of, and funds for, the charity Air Ambulance Northern Ireland (AANI). The team, which is made up of representatives from Doctors and Paramedics from the Helicopter Emergency Medical Service (HEMS), the air ambulance aviation team, AANI staff and members from NIAS will run the 10k race. Kerry Anderson, Head of Fundraising for Air Ambulance NI, said: “We are delighted that so many of the team, who already do so much for the charity, have decided to support AANI in this way. We need to raise £2million each year to maintain this service so all donations are crucial. AANI, working in partnership with Northern Ireland Ambulance Service (NIAS), provides a Helicopter Emergency Medical Service (HEMS) and responds to severely ill or injured patients, seven days a week, for twelve hours a day. From its base in Lisburn it can reach any part of Northern Ireland in approximately twenty-five minutes. The service’s primary role is to deliver advanced critical care, benefitting those whose lives are at serious risk following significant injury or trauma by bringing urgent medical assistance directly to the patient at the scene.